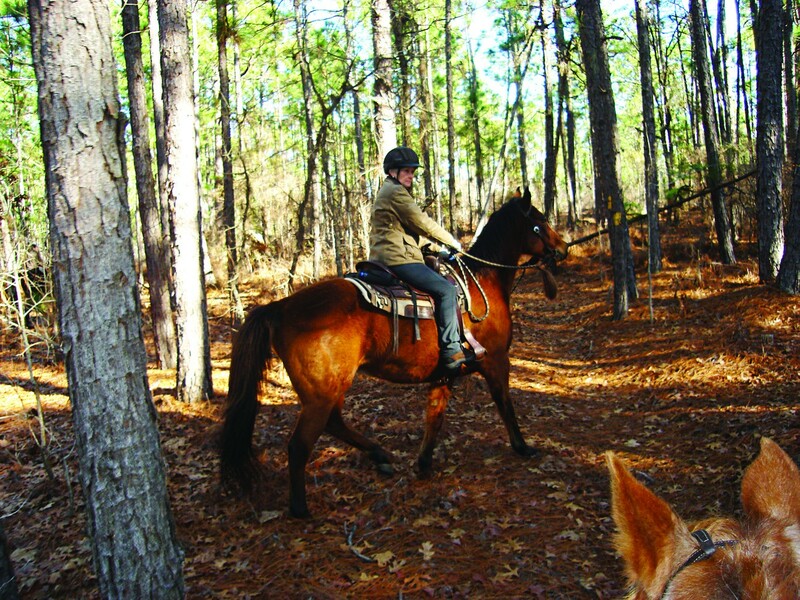 In a Fort Jackson "first" a team of horse riders helped clear remote parts of the installation Jan. 26 in a bid to keep people and the land safe. "To my knowledge, this is the first of its kind in the Army," said Lt. Robert White, Fort Jackson's conservation law enforcement specialist of the newly formed group who will have a defined mission on Fort Jackson. "The focus of my job is national resource protection, force protection and archeological protection, and this team will help with that," he continued. "The purpose is for them to help us identify anything that could be a threat to natural resources or Soldiers," White said. White started working on this concept a year ago. "With the support of number of agencies including my leadership team, the program has become a reality," he said. 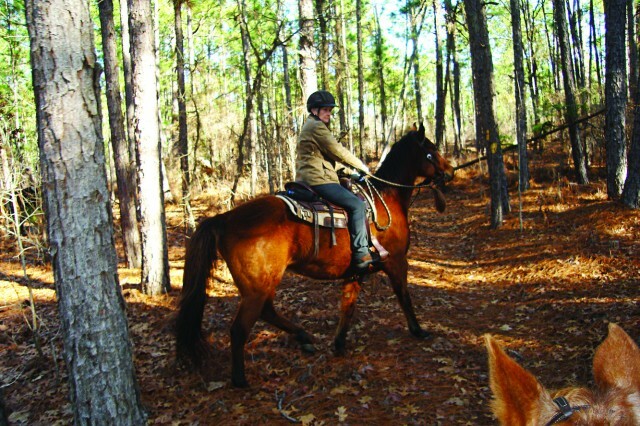 The team, called the Mounted Surveillance Team, will follow a specially-written standard operating procedure and operate under a license approved by Col. Stephen F. Elder, Fort Jackson garrison commander. The team will go to "an area sectioned off where the team will sweep the entire ground area -- through the fields, not just on the roads," White said. White said if the team finds something, it will be fixed. If they don't find anything, then he will have peace of mind there were many eyes on the area confirming that there are no unwanted items. "There is no failure," he said. White's focus is to oversee more than 51,000 square areas of land on post. He noted that environmental folks have eyes on the land while they are out performing their specific duties and the wildlife teams as well. 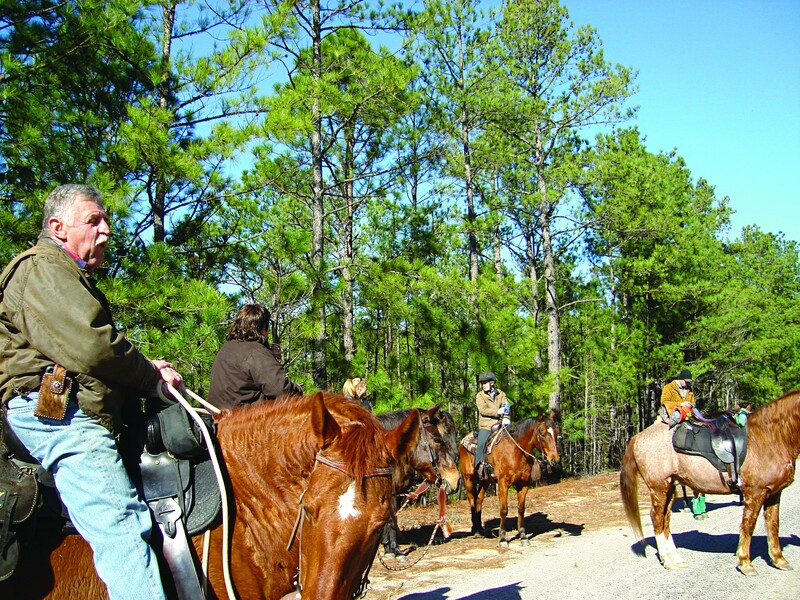 White learned about the Richland County Sheriff's Posse when he worked at the Sheriff Department and has used that knowledge to develop this program. The Richland County Sheriff Posse is a 501 C3 community service organization. Dr. Michael R. Privett, DVM, is one of the long standing members and has worked with the team for 25 years. The members are not employees of Richland County but a group of volunteers who perform several functions. They invest their time in the S.C. State Guard Caisson Detachment, the S.C. State Guard Mounted Search and Rescue team, and the Large Animal Rescue Team. Now, they add this new Fort Jackson mission. "The members of this organization are assisting Officer White with what he is doing," Privett said. "We are putting our time and assets towards this and doing something we love." Clifford Fisher, one of the riders, agreed. 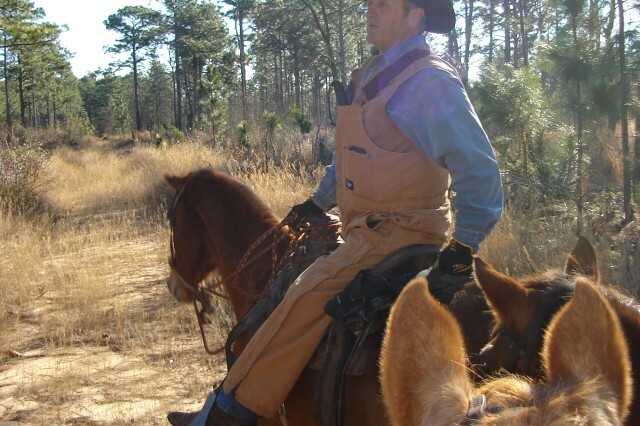 "The good thing about the posse is it keeps our horses exercised," he said. The Mounted Surveillance Team consists of 22 riders with certification and specialization to conduct horseback searches. �The horses and riders go through rigorous ongoing training and testing. The plan is to have the team ride on a routine schedule. The riders do not know what area will be searched until the day of the ride. The type of search, on any given day, will be based on a number of factors such as the number of riders, weather, and terrain. They will perform either a hasty or an intensive search. The Jan. 26 ride was an intensive search which took three hours for the seven members to complete, some riders said. They fanned out and rode through the brush and called out anything that didn't seem natural to the environment. "We are here to patrol and find any issues that might pose a threat," Privett said. The team uncovered quite a bit of trash, found an expensive extension cord, an abandoned and broken commode and a left over fighting position -- each of which can pose a danger. The ride began at Wildcat Road and the team turned around at Washington Light Infantry Road to cover the next section. Posse member Debbie Martin was all smiles at the end of the ride. "I loved it," she said, because she "likes riding in the woods." "This mission is not time sensitive so we can be flexible in our schedule," Privett said. "We will continue to provide a valuable service and do something we enjoy in the process." Some members have been with the posse for a long time. Cary Shealy, who joined 22 years ago, said he stays with the group because he "enjoys the horses, the people and the job. Today, he said he "really enjoyed the mission." "I am appreciative that this team is willing to come out here and spend their time keeping this place safe," White said. The posse members said they enjoyed the mission. "It's always good to get out and put our animals to use," said Kerri McLary. "This gives them a job to do." "When you are protecting the national resources, you are protecting the Soldiers so we stay mission ready," White said. 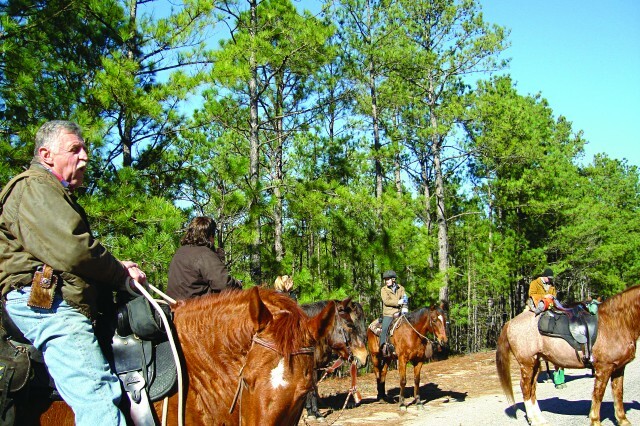 The Richland County Sheriff's Posse was formed in 1994 by a group of horsemen from the Lower Richland area. For more information about the team, contact Privett at mrprivettdvm@aol.com.